"JUGGALOS ARE QUEERS" That's degrading to queers. 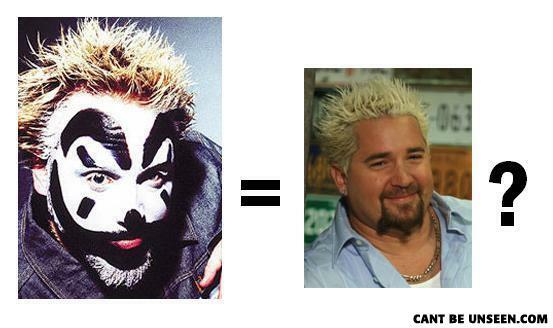 ICP is trash. Guy is ok. What they both have blonde hair? One is a moron and one has a respectable show on the food network. If the second picture were a dung beetle or dung I would see the similarity and lol for a moment. Hey, if you're a juggalo, that means you saved alot of money when it comes to not wanting to buy a stupid clown for little Suzy's birthday party. LOL.